Our “snowman family” built by Emerson. She spent the afternoon building a snowman to represent each of us. She did an awesome job. 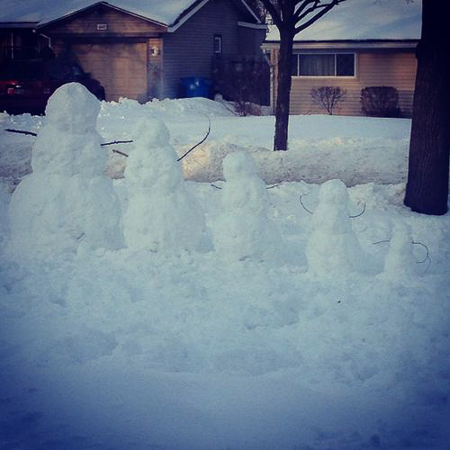 The cold weather here should keep these snowmen around for quite awhile.